The following are my answers to the Unitarian Universalist Association’s (UUA) Survey Questions on Best Practices for Unitarian Universalist Blogging, August 2008. Yeah, I’m two years late. Why bother now? Admittedly, I’m trying to expand my readership, and being listed on the UUA site is a step in that direction. Why do you blog? What goals do you have for your blog? I blog because it clears my head and clarifies issues. Blogging allows me to explore a topic more fully, and, on this blog, pull the spiritual strings together. I also write to share my spiritual journey with others, and growing readership is a goal. Who is your intended audience? Other Unitarian Universalists and liberal religious seekers, parents, people going through and coming out the other side of divorce, and any other folks interested in following a spiritual journey. Who owns your blog? Does it belong to you as individual or to your congregation or other organization? It’s mine, mine, all mine. How frequently do you post? I keep two blogs (quarksandquirks.wordpress.com is my homeschooling blog), and I try to post at least once a week on each. What is the tone of your blog? Personal and reflective, although I’ll sometimes close with a question. What steps do you take to make sure that your blog is a safe space, both for you and for other participants? Do you have a code of conduct? Although many of my regular readers know me and my kids, I keep my children’s names out of my blogs. I don’t bad-mouth them, my ex, or anyone else. I write with compassion towards myself and others in the front of my mind. What kinds of boundaries do you observe around confidentiality? I don’t post confidential information here. How do you respond to comments and email from readers? I often respond to comments on my posts. My email isn’t available on my blog in an effort to avoid spam. What are the most challenging aspects of blogging in your experience? Making time to blog regularly. As a single, homeschooling mom, I tend to only have small pockets of time for writing. While I’m working on longer writings, my available time to write is about one blog post long right now. What are the most rewarding aspects of blogging in your experience? Two rewarding aspects come to mind. First, blogging often clarifies an issue for me, and this is personally satisfying. Second, comments from folks who find resonance with their own journey from my posts reward me with connection. What advice would you give to Unitarian Universalists who are new to blogging and want to get started? Dive in and write. Write first for yourself, try to write regularly, and boldly hit the publish button. Read blogs of other UUs, comment on their posts, and experience the conversation blogging can be. Finally, if you’re labeling your blog as UU, remember the 7 principles in your writing, especially honoring the dignity and worth of others. Be kind. How do you evaluate the success of your blog? What have been your most successful blog posts or series? Okay, I’m addicted to the stats on wordpress.com. I love to see that graph shoot up. Personally, I feel successful if I explored a topic and came to a new understanding of a situation, but I do like to see those numbers go up. My most successful post was picked up. My most successful post was Finding Friendship, Finding Religion, which was quoted and linked to the UU World blog round-up, Interdependent Web. What do you wish you had done differently in your blogging? I wish I’d started sooner! What other online tools do you use to promote your blog? (i.e. social networking sites, Twitter, social bookmarking tools, etc.) Networked Blogs via Facebook is all for now. I’m looking for more routes to promotion. Do you use an Really Simple Syndication (RSS) feed? How many subscribers do you have? I’m on UUpdates.net and have no idea how many subscribers I have. Now if I could only install the RSS button on my blog for that feed. I do have the RSS feed from wordpress.com. Do you track site traffic? How many unique visitors do you have per day (on average)? I watch my stats through wordpress.com, but I have no idea how many unique readers come by a day or per post. 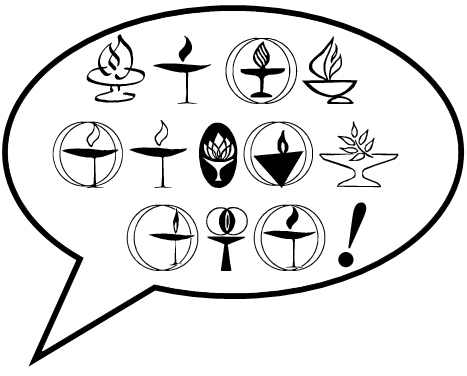 Do you find Unitarian Universalist Association resources helpful to you as a blogger? What additional resources could we provide to Unitarian Universalist bloggers? I’d like to find active UU blogs more simply. Many of the lists online contain numerous inactive blogs, which is discouraging to the reader just looking for a place to start reading UU writings. This entry was posted in Unitarian Universalism, writing and tagged blogging, Unitarian Universalism, UUA, writing by mom4peaceuu. Bookmark the permalink. Regarding Site Traffic, you can create a free Google Analytics account that will allow you to track visitors by post, by time of day, by geographic location, and so on. See WordPress “Google Analytics” plugins for details. Google Analytics may be usable on wordpress.org, but it’s not available on wordpress.com, so I’m out of luck there, at least for now. Thanks for the tech help!